A device that uses radar to read the snow conditions directly under a skier could provide a new tool for avalanche prevention and safety. The prototype is now being tested in Norway by a startup company focused on using oil industry technology in new markets. A device that uses radar to read the snow conditions directly under a skier could provide a new tool for avalanche prevention and safety. The prototype is now being tested in Norway by a startup company focused on using oil industry technology in new markets. "Just like in the oil industry, when you're using seismic to detect the changing layers in the rocks to find oil, we use radar to detect the changing snow layers in the snowpack," said Deborah Karlsen, co-founder of the Norwegian company Think Outside. The small device, called the Sknow, attaches to the ski right in front of the binding, Karlsen told The Calgary Eyeopener. "Our goal is to eventually alert you if there's any weak layer that could trigger an avalanche," she said. 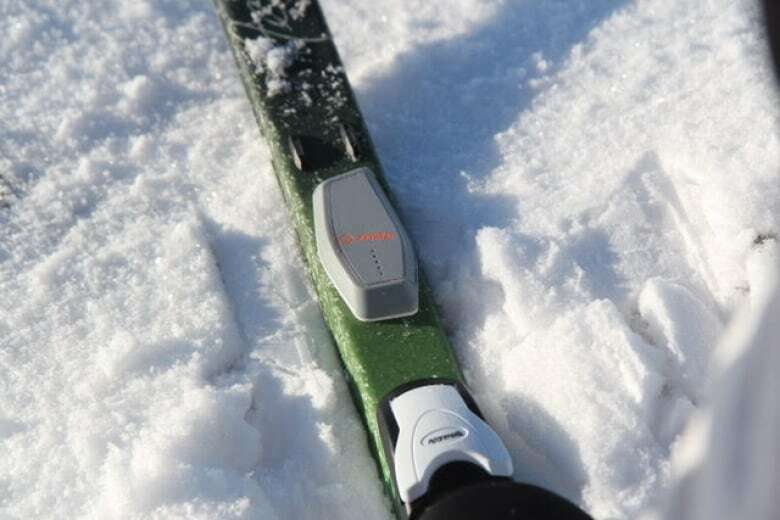 The device could offer backcountry skiers a chance to gather more data as they travel, in addition to relying on snow reports produced by experts. "So right now, if you look at the products that are on the market for avalanche safety, almost all of them are after the avalanche has happened. So they're survival and rescue. There's really nothing before an avalanche takes place for prevention," Karlsen said. She added that it is not intended to replace other avalanche safety measures, such as examining the snowpack by hand and reading the terrain. "For the first time, it gives you eyes into the snow. So instead of just guessing what the snow looks like under your ski you can actually get that data in real time and find out what the snow conditions are that you're standing on top of," she said. The device, developed by a team of engineers and geologists, would likely use a flashing light to alert the skier to dangerous terrain beneath the snow. Karlsen said the idea involves transferring "the same kind of technology that can detect oil fields and changing rock layers" to a new type of terrain. "We had this idea of ... what if we could use an analog-technology radar to do the same thing on snow?" she said. "So we applied for research grants — and got it — to test if this was possible, and we found out that it was." The original idea "came from me and my group of friends and my husband being out skiing," company founder Monica Vaksdal said. As geologists and engineers by background, she said they were "annoyed with having not enough grounds to make your decisions on" when backcountry skiing. "Because that's what you do in the industry all the time — you make true decisions based on true data," she said. "So this comes from our needs. We are trying to make something that we want. And then we realized that a lot of people want this." Vaksdal took a year off from her job in the oil industry to pursue the project. She teamed up with Karlsen, who has a background in marketing, and they secured the research funding to hire a team of engineers. That was a year and a half ago. "There's a lot of design and there's a lot of technology; if this was easy, someone would have done it," she said. "So we've spent a lot of time doing engineering, and we're spending this winter gathering data." Karlsen said the device is being tested by expert skiers in a variety of conditions in Europe. 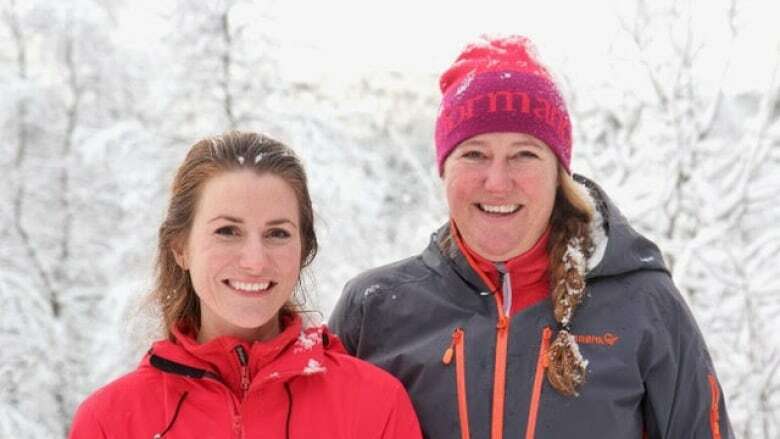 "So we're testing in wet snow, dry snow, really steep conditions, to try to make sure that the device works, regardless of where you are in the backcountry," she said, adding they'd be open to doing Canadian tests, too. "Canada has some of the best experts in avalanche technology, so if there's any guides or industry partners that would love to test our device, please contact us. We'd love to get in touch." Vaksdal said it's been quite a journey since the day she had a scare on some unfamiliar terrain. "I was alone in the mountains. I ended up going a different place than I told my husband I would go, and I realized, I'm in very steep terrain, this is avalanche homeland, no one's going to find me until spring. How do I make really good decisions?" she said. "So that was kind of where the first initial pain comes from, and yet, that pain is being reinforced every time we sit down, drink beers and talk about friends who have been caught in avalanches." Vaksdal and Karlsen hope that the device, which they say will retail for about the price of a beacon, will help skiers plan safe outings. "It's a good addition to everything else that's on the market," Karlsen said. "This is going to be an amazing tool for guides, but also just for beginning skiers who don't really have the confidence. It gives them kind of like a voice to be able to see in the snow and decide if they're willing to take the risk." Current avalanche forecasts and information about the snowpack is available at avalanche.ca. An earlier version of this story incorrectly described members of the team who developed the device as petrochemical engineers. They are, in fact, engineers and geologists.